If you want to go back to the eighties (the era that gave us Sleaze/Glam Rock, the sound of the Sunset Strip, where the amount of hairspray usage punched a great big hole in the ozone layer and there was the raw buzz of Guns N' Roses, Mötley Crüe, Hanoi Rocks, The Dogs D'Amour, etc. 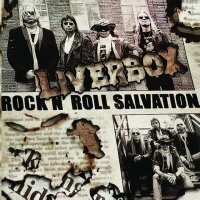 ), then Finnish rockers Liverbox will take you there with their debut album entitled 'Rock 'N' Roll Salvation'. This group are a straight-up four-piece – consisting of Ilkka Jarvenpaa on vocals, J. Aslak Rasanen on guitar, Tero Nevala on bass and Ozzi The Rose (great name) on the skins – that formed in 2014 and initially started out as a covers band (something they still do from time to time). 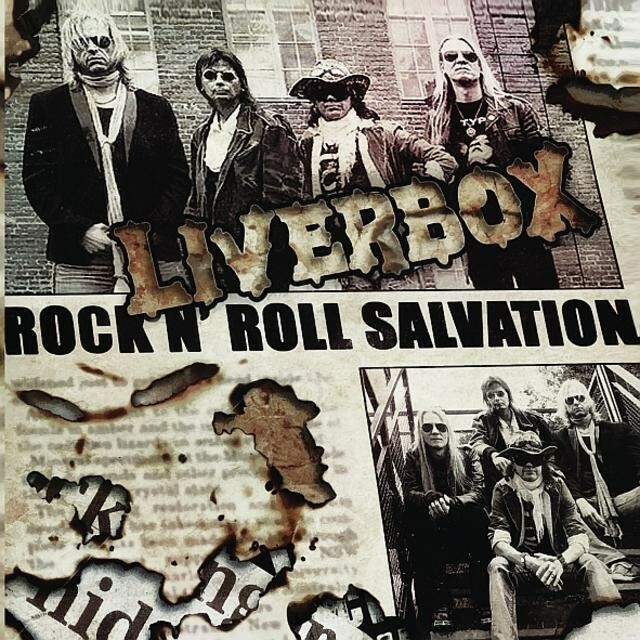 With that particular title, you might legitimately ask if Liverbox are going to be our Rock 'n' Roll salvation? The opening track, 'Falling Apart', sets the band's stall out pretty well, it's an attitude-filled, in-your-face rocker, as is the following cut 'Blackbird '72'; I am assuming they are using the aircraft as a euphemism for something else. 'Now Or Never' and 'Sick Love' continue in much the same vein with the latter including a particularly punchy bass line. 'Let's Go (All The Way)' is not a cover of the Sly Fox R&B song, but instead sounds like a mash-up of Def Leppard's 'Let's Get Rocked' with a riff from Damn Yankees. 'Shuffles It All' features a neat guitar solo, and I am pretty sure the subject of the song isn't about playing cards, while the album closes out with 'Everlasting Fire' which clearly has some AC/DC undertones to it. If you like your Rock with punchy riffs, tasty bass lines, vocal harmonies, a punky edge and non-PC lyrics, then these Finnish rockers are worth a listen. By the way, a liverbox is a small box with a hole cut into it that is filled with warm liver, you can probably guess the rest; Sleaze with a capital S!